Life gets so busy it seems there is never enough time in the day just for me. Like many moms I am busy doing housework, working, and cooking dinner. I need time to unwind and relax. There is nothing better than relaxing and getting spa treatments. I don’t know about you but I never have the time or the money to go to the spa and indulge. Since it is just not practical for me to go to the spa I wanted to take the spa experience home. 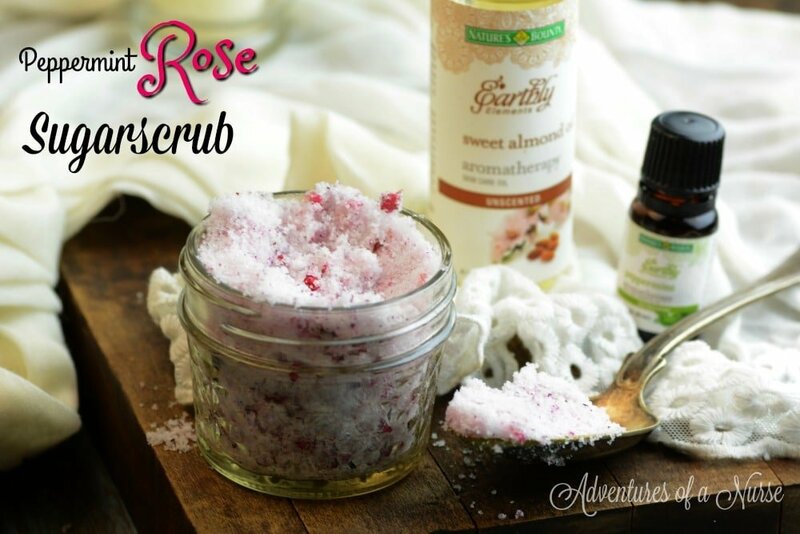 I made a peppermint & rose sugar scrub in under five minutes. I wanted to use natural ingredients and stay away from harsh chemicals. 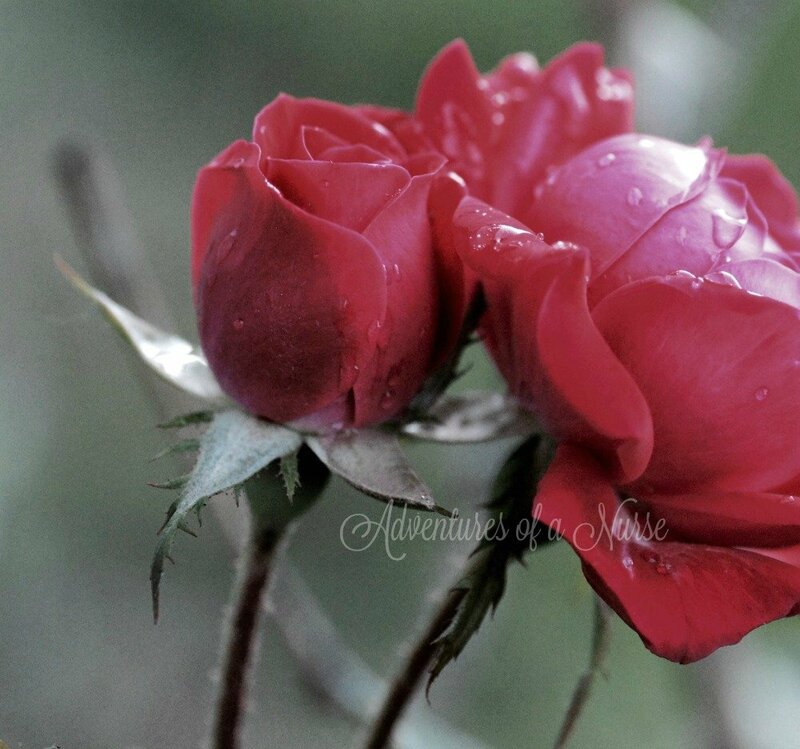 I used Roses right from the rose bush in my front yard. I also found Nature’s Bounty® Earthly Elements™ at Walmart. Peppermint Oil provides stimulating, vitalizing, cooling effect mixed with the soft rose petals it makes the perfect combination and leaves my skin silky smooth. Directions: Place sugar and rose petals in your blender or food processor on pulse for 30 seconds. 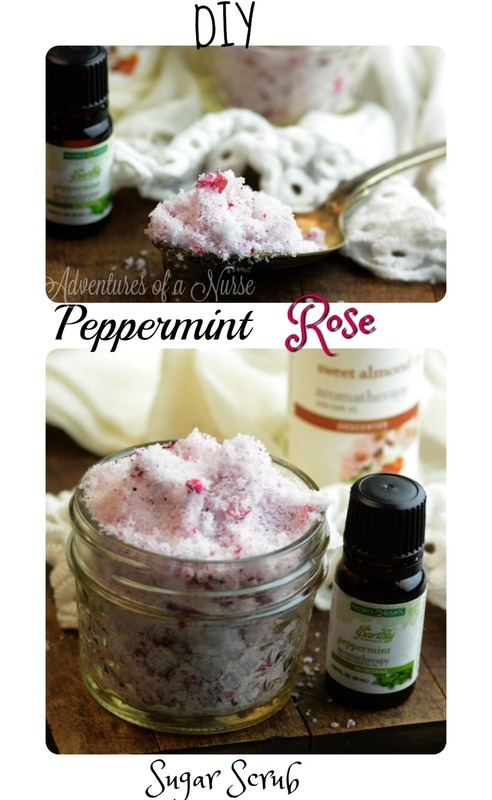 Add in sweet almond oil and peppermint oil. Pulse for another 30-40 seconds or until well combined. Store in an airtight mason jar or container. Keep in your bathroom for up to 10 days. Use on your face and hands 1-2 times per day. 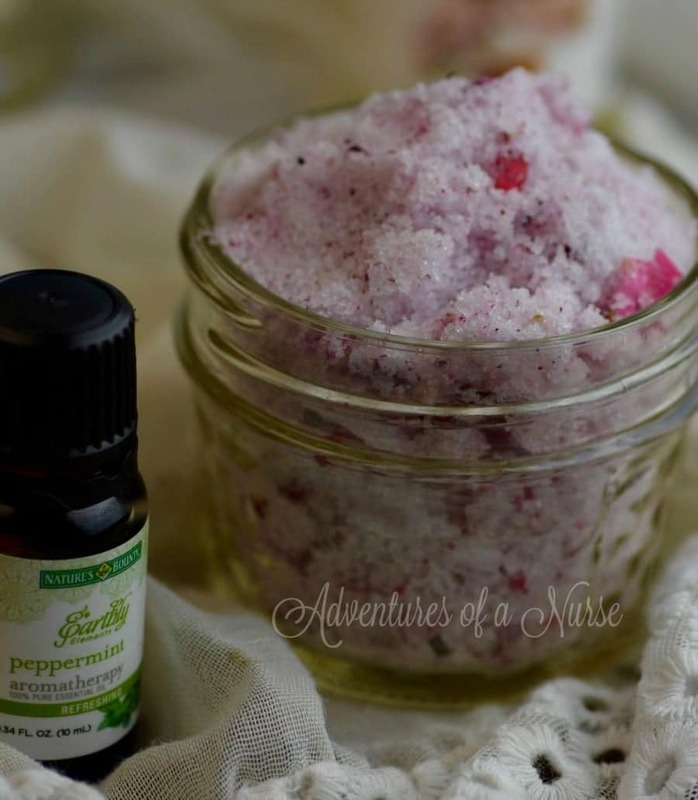 You can use any variety of essential oils to create your own spa at home . The full Nature’s Bounty® Earthly Elements™ line can be found in the Vitamin Aisle. For the ultimate spa experience, I also use Nature’s Bounty® Earthly Elements™ in my diffuser. What do you do to relax and pamper yourself?